Although many advances over the last decade have improved energy efficiency, not every new building is designed and built with these technologies. In some other instances, older buildings that have undergone retrofits have better thermal control capabilities than newer structures. Thermal bridging is a primary issue affecting energy performance and occupant comfort in modern buildings, occurring where conductive materials ‘bridge’ between the interior and exterior environments, allowing less resistance to heat transfer. Common examples of thermal bridging are flashings, windows, studs in cavity walls, and fasteners. There are several methods to enclose a building and improve energy efficiency, but most are multi-part systems and do an inadequate job of helping control thermal bridging. To resolve this, a specified cladding material must provide the highest R-value, have a labour- and cost-reducing installation process, and contribute to green construction certification. The plane of heat transfer for the building envelope is a theoretical projected area between the interior and exterior conditions through which heat flows. In order for there to be a heat loss or heat gain through the building envelope, energy must pass through this plane of heat transfer. A building assembly may have some elaborate features that extend out past the building envelope; however, all that is important for thermal performance is where the heat flow passes the plane of heat transfer into or out of the building. 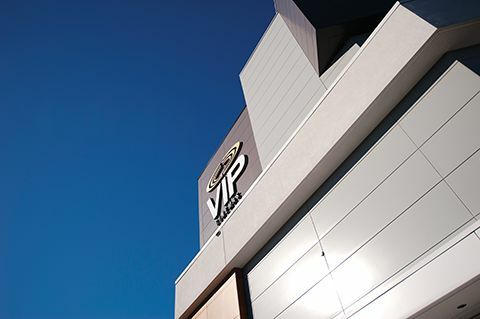 Specifying insulated metal panels (IMPs) can assist in controlling thermal bridging, while helping create a more efficient exterior wall system and meeting construction code requirements. Inadequate thermal performance can create a structural failure that may require costly retrofits. By solving thermal bridging issues in the design phase of new building construction, the need for expensive deep-energy-retrofit projects in the future can be eliminated. 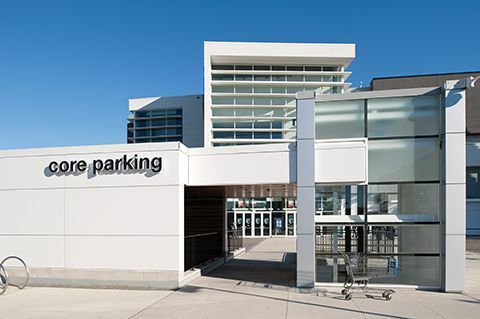 Also shown above, the highstreet open-air mall in Abbotsford, B.C., was one of the first Leadership in Energy and Environmental Design (LEED)-certified large-scale shopping centres in the country. It makes use of insulated metal panels (IMPs) to assist in controlling thermal bridging, while helping create a more efficient exterior wall assembly. A building’s design must have insulation membrane continuity to control moisture at all interface joints. Designers should focus on thermal load reduction rather than trying to solve thermal performance issues by just specifying high-efficiency mechanical equipment. The challenge is to select an efficient exterior insulation product that can help control thermal bridging as much as possible, while also reducing energy consumption. Ideally, a building’s envelope should be designed to optimize energy conservation performance by allowing it to achieve net-zero energy targets. Single-component wall systems, built with insulated metal panels, form the basis of a building envelope that maximizes thermal performance while simplifying design and construction. Although thermal bridging may never be fully eliminated, energy modelling has shown an IMP wall system can help reduce a building’s energy consumption over its lifespan. Insulated metal panels are manufactured by bonding a rigid foam core between two prefinished metal facings. These steel or aluminum panel facings create a vapour barrier and provide long-term thermal stability. The foam core of an IMP is made with polyisocyanurate (polyiso). This thermosetting type of plastic, closed-cell foam contains a low-conductivity, hydro-chlorofluorocarbon-free gas within its cells. The high thermal resistance of that gas is what gives polyiso insulation materials an excellent R-value range.